Fiction must stick to the facts and the truer the facts the better the fiction – so we are told. It only took me a decade but at long last my full-length dramatic play script, Saviour, is ready to stage as a play! And the John Petropoulos Memorial Fund (JPMF) is going to do just that in October 2014: hold 6 special fundraising performances of Saviour. Hooray!! Sam, a police officer, steps through a false ceiling while searching a warehouse and hits his head. As he succumbs to his injuries, it is the soul of the dead writer, Virginia Woolf, who takes him to the moment of his pending brain-death. Meanwhile, on the other side of the stage, Sam’s wife, Adri, wakes up to her new life as a young widow, as Sam’s Sergeant, Tom, guides her through the first three months of grief. Saviour is a powerful and engaging story about the basic human need to live and die with peace of mind – and just how incredibly difficult that is to achieve. Saviour promises the audience a fast-paced, imaginative and compelling theatrical journey that has strong links to real-life events. Saviour is a love story that challenges the notion of romantic love and suggests instead the staying power of tough love. The play offers audiences hope that peace and positive change can come from tragedy. And the ties to the factual aspects of John’s death and the workplace safety initiatives of the John Petropoulos Memorial Fund add another layer of authenticity. Saviour is an excellent play for the JPMF to use as a fundraiser because it is a powerful testament about the importance of people making their workplaces safe for everyone, including emergency responders. As you may know, staging a full-scale theatrical production is not exactly a simple nor inexpensive endeavour…me & my big ideas! In addition, the Saviour play script is also being shopped to theatres across Canada & the US to be considered for regular production – with much help from Trevor Rueger, Executive Director of Alberta Playwright’s Network. I have worked closely with the Alberta Playwright’s Network over the years developing the script. Trevor will also be the Director of the 6 Alberta JPMF fundraising performances! Maryanne Pope is the author of A Widow’s Awakening, the upcoming book, Barrier Removed; A Tough Love Guide to Achieving Your Dreams. 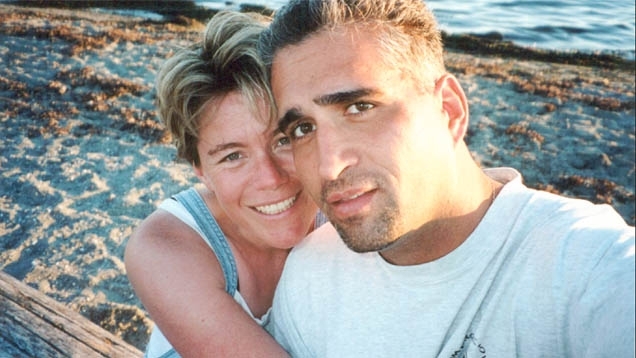 Maryanne is the Board Chair of the John Petropoulos Memorial Fund and the CEO of Pink Gazelle Productions Inc.
“It’s so good to hear from you again on your website and articles! To refresh, we corresponded years ago after I read your book. I have been reading your articles and blog since. I am very excited about your new play “Savior” coming to Calgary in October. I definitely want to see it! Good for you…what a project! !